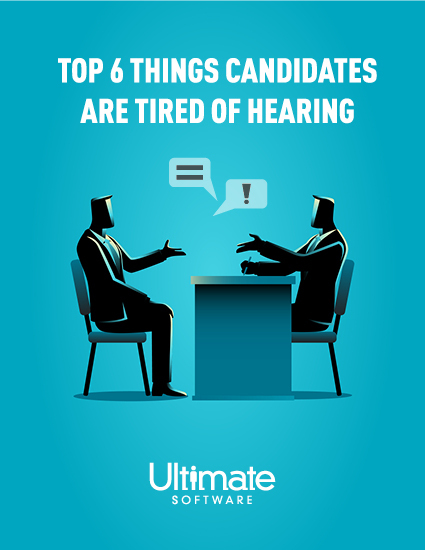 Learn the six phrases you shouldn’t be saying to candidates. Most candidates know that the job-seeking process is daunting and dreaded by many. While recruiters feel that all applicants can blend together, it is becoming harder to keep track of who is who. With unengaging and formulaic recruiting processes used by nearly all organizations; recruiting has gone stale. Candidates are fatigued and recruiters are frustrated. Discover the six most overused phrases that are frustrating and disheartening to hear again and again and again. Please fill out this brief form to access your recruiting whitepaper.